Flinders Foundation is fortunate to have distinguished patrons that are generous in lending their time and energy in support of the Foundation’s mission. Their dedication and passion for helping others is admirable and we are forever grateful for their contributions. a passionate advocate for Flinders Foundation for many years. 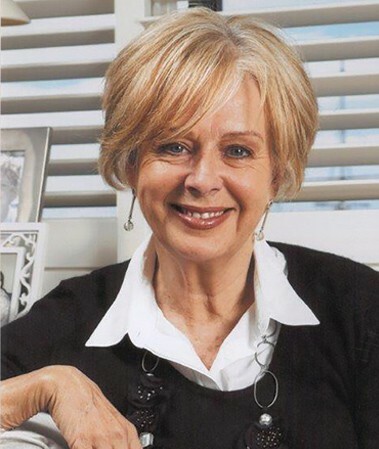 “It’s a great honour to be Patron of the Flinders Foundation. To be able to play a small part in assisting the extraordinary staff who not only treat and assist patients, but also conduct cutting edge research to improve those treatments, is a rare privilege. Over my years of involvement, I’ve developed a deep admiration for the Flinders’ teams who work so hard, often with very little public recognition, to change people’s lives for the better. Soda was first introduced to Flinders Foundation as host of the cancer fundraising Pink Yellow Blue Ball some seven years ago. However, it was an encounter with the Briggs family in 2016 which left him wanting to do even more. “I met Kerry and her husband David at the Pink Yellow Blue Ball - Kerry had terminal cancer and they had two beautiful young kids,” Soda recalls. “As a father of three kids myself, their story really got to me. Using his “voice” as co-host of Mix 102.3’s breakfast show and a sports presenter with Channel 7 Adelaide, Soda is passionate about supporting research and patient care across the Flinders medical precinct – in particular cancer. “Being in hospital is tough and it’s often a time in people’s lives when they are at their most vulnerable, so it’s important that we try and give as much support as we can - not just for those experiencing the illness, but for their support networks too,” Soda says. “Flinders Foundation does some amazing work across many areas, and there’s been some unbelievable advances and successes in cancer research. Adelaide loves to remember Lady Hardy, as 'our' Joan McInnes - one of the state's most popular models and entertainers. Starting her career of modelling, singing and entertaining in Adelaide in the 1960s, Joan moved on to Sydney in 1979 to further her career. 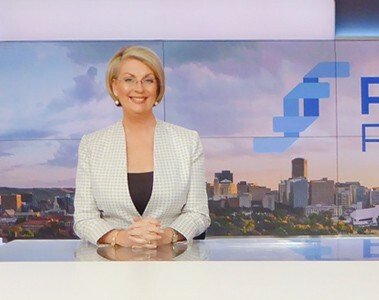 After enjoying regular appearances on the Don Lane and Mike Walsh Shows and musical partnerships with well known Australian singers Joan joined NWS 9 in 1981 as entertainment producer/reporter on the Today Show until 1988 when she moved to the Ten Network to host the successful national morning program ‘Til Ten. In December 1991, Joan married Sir James Hardy and left to pursue an even busier schedule supporting James's work and appearances nationally and overseas. Since then she has served many local charitable and artistic associations, including taking up the mantel of Patron for the pinkyellowblueball in 2003. We are extremely grateful to have Lady Hardy on board as our Patron and her ongoing interest in all that is happening within the Flinders Centre for Innovation in Caner. We’re so excited to be working with the wonderful Jodie & Soda from Mix 102.3 to fulfil ‘Kerry’s Final Wish’ for a new Wellness Centre in the Flinders Centre for Innovation in Cancer. Donations to the Flinders Foundation through this event will mean the Wellness Centre can be built. If you would like to donate to the cause please click here.